Harrods closed early for Christmas eve and so, we walked through Hyde Park to get to Marble Arch, for dinner. 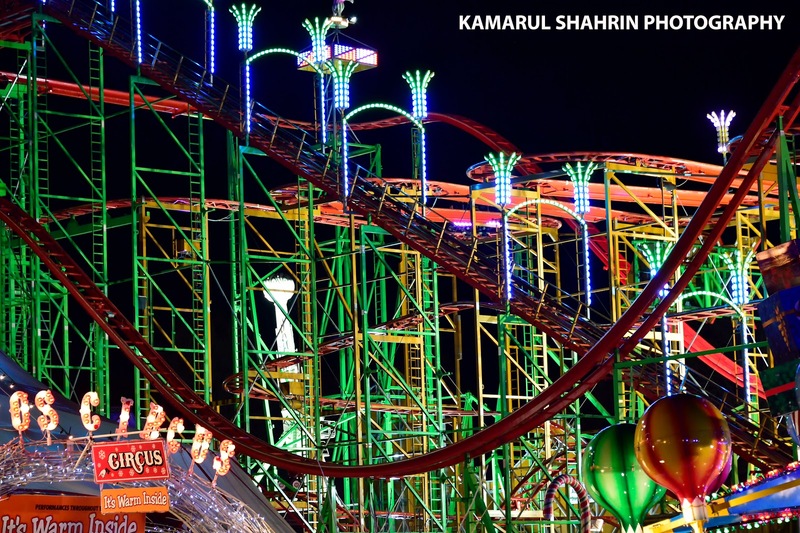 Out in the open, this amusement park shone colourfully bright against the winter darkness. With the widest aperture, I shot the structures without a tripod, hoping that the image would not be blurred. It didn't.